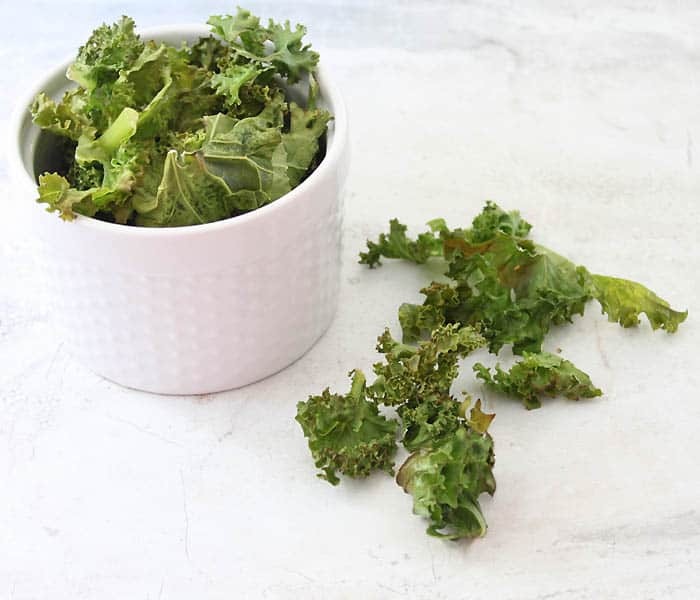 Kale chips are a great healthy snack. They’re also pretty tricky to make. I’ve made countless bad batches (too soggy, too burnt, 1/2 soggy-1/2 burnt, you get the drift!) I finally have my kale chip technique down and I wanted to share it with you today. 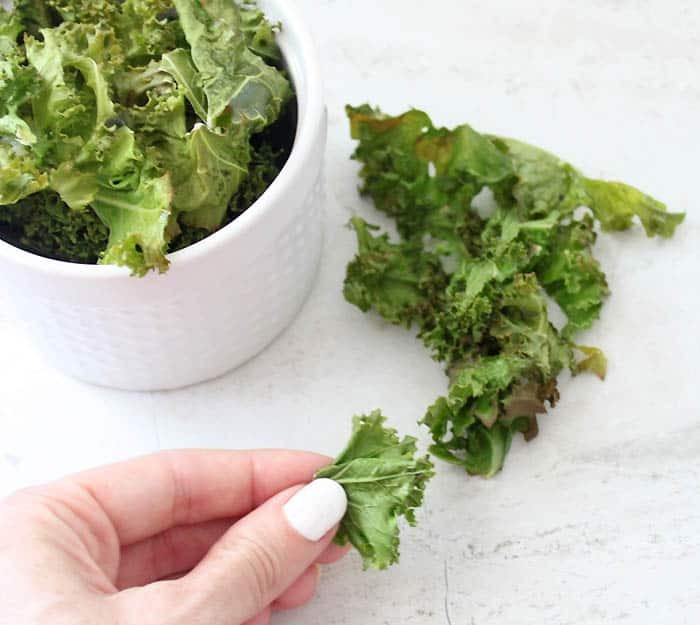 1) Make sure the kale leaves are thoroughly dry. Wet leaves will result in soggy chips. 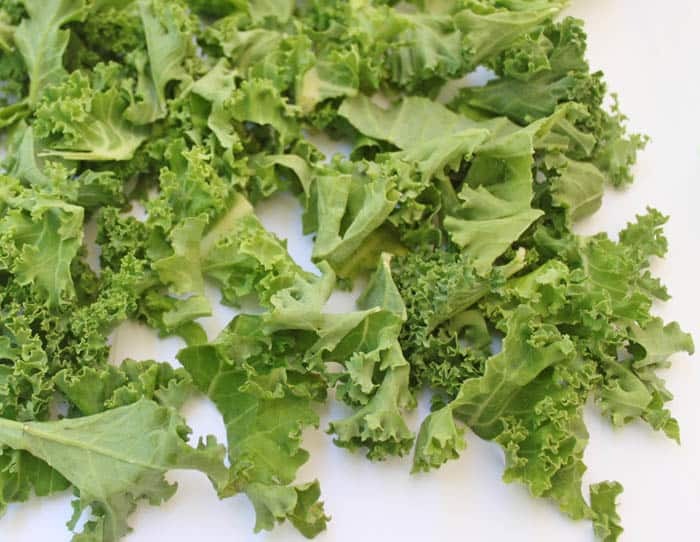 4) Spread the kale out thinly on a baking sheet. This will ensure that all the leaves are baked evenly. 5) I bake mine at 350° for 10 minutes in my double oven. For your first batch I recommend checking on them frequently starting at 9 1/2 minutes. 6) Season with sea salt & enjoy!